Henry Schein, Inc. is celebrating the holidays this December with more than 1,000 underserved children and their families through its 19th annual “Holiday Cheer for Children” program, a flagship corporate initiative designed to ensure that participating children around the world enjoy a fun and festive holiday season. This year, Team Schein Members (TSMs) from 20 company locations in the U.S., Canada, the U.K., Spain, and Germany, participated in the program. TSMs at many Henry Schein locations sponsor individual children, purchasing toys, clothing, games, and other gifts for them. The children’s families also receive gift certificates to major supermarket chains through the program. The company partners with local social service agencies to identify children and families who would most benefit from participating in the program. At other Henry Schein locations, TSMs raise funds and donate gifts to local charities and people in need. 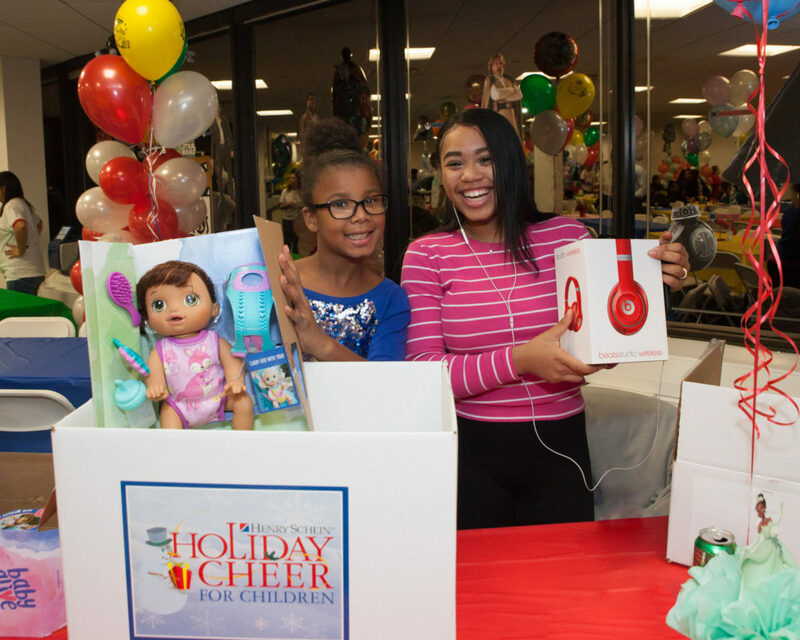 Many Henry Schein locations throughout the U.S. play host to events where participating children receive their gifts, the largest of which took place December 7 at the company’s global headquarters in Melville, New York. TSMs presented their gifts to nearly 700 Long Island kids at a Disney-themed celebration. The event included dinner, games, music, and a visit from Santa and Mrs. Claus. Children and families were identified for participation in the Melville event by the following local social service agencies: Bethany House, Espoir Youth Program, Family & Children’s Association, Family Service League, Hispanic Counseling Center, Madonna Heights, Nassau County Department of Social Services, Northwell Health, The Pederson-Krag Center, The Raymar Children’s Fund, and YES Community Counseling Center. Holiday Cheer for Children is an initiative of Henry Schein Cares, the company’s global corporate social responsibility program, and is supported by the Henry Schein Cares Foundation, Inc., a 501(c)(3) organization that works to foster, support and promote dental, medical and animal health by helping to increase access to care for communities around the world.